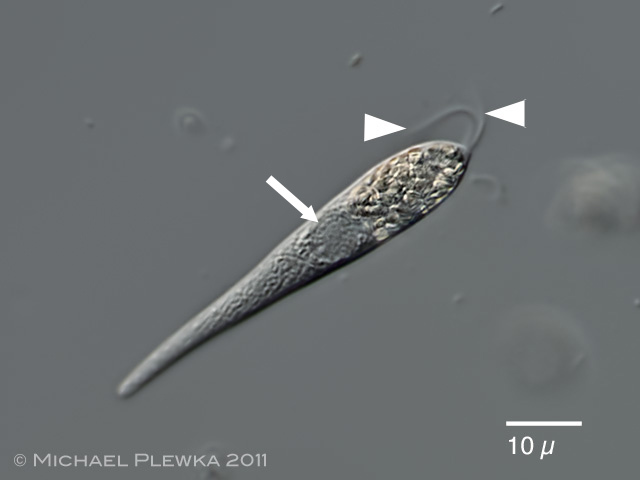 Distigma proteus, focus plane on the two flagella (arrowheads) and nucleus (arrow). The anterior part of the cell is filled with paramylon grains. Like Astasia or Rhabdomonas Distigma is a primary osmotroph. 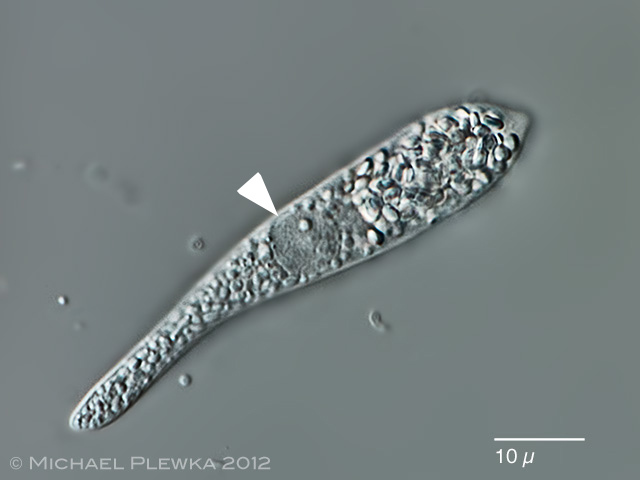 Distigma proteus, another specimen, focal plane on the nucleus (arrowhead).